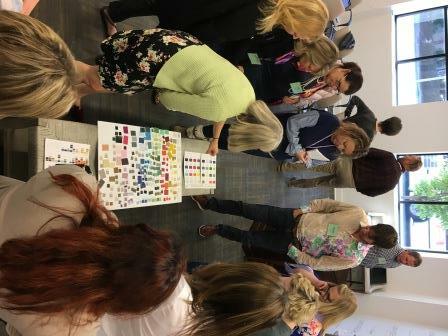 On a beautiful spring day, color enthusiasts met for the High Point ChromaZone® Color Forecasting workshop. 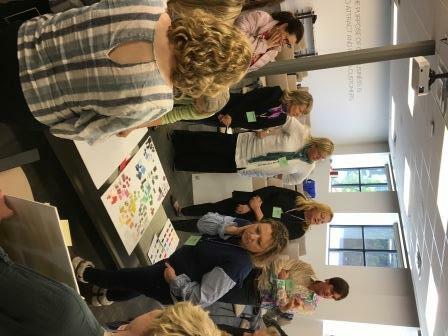 Hosted by Universal Furniture in their Education Center, it was a day of color discussion and collaboration, but most importantly, comradery. This was Color Marketing Group’s third year of holding a ChromaZone in High Point, which coincided with the April High Point Market. 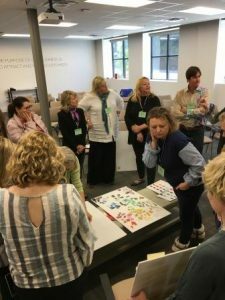 Attendance has steadily risen since the inaugural group of 8 to 12 participants in 2016, and this year we doubled our size to 24 color influencers. Home furnishings, laminate surfaces, packaging, plastics, forecasting, and academics, were just a few of the industries represented. Participants shared their research of what will influence color directions in the next two years – health and wellness, sustainability, politics, entertainment, Olympics, etc. From this information we honed three trend drivers for color applications in new product introductions for 2020 and beyond. Our 16 color final forecast illustrates these color’s stories with supporting images and industry specific notations. Many first-time attendees started the day a little reticent but were leading small group discussions by the end of the day. 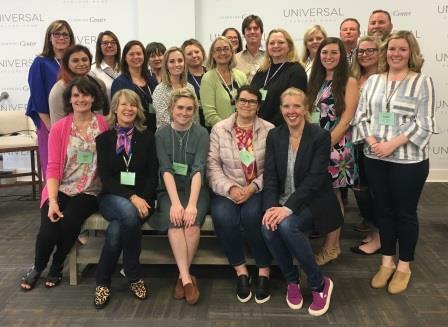 Color Marketing Group is the only professional color design organization where its members are a core part of the color forecasting process. Companies spend a lot of money to subscribe to outside trend services while Color Marketing Group provides a platform for collective color and trend knowledge exchange. Participating CMG members bring their company an intangible benefit of the collective power of color. Where else can you share information in a non-competitive environment to validate your color knowledge? 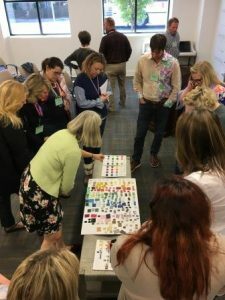 Mark your calendar for our ChromaZone next year again at High Point – date to follow – or check our calendar of events for this year to see if there’s a Color Forecasting Workshop near you.